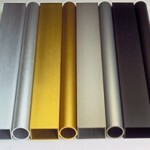 SAF Anodizing Finish Order Codes SAF – Southern Aluminum Finishing Co, Inc.
Use this chart to reference SAF Anodized Finish options when ordering anodized aluminum extrusions & sheet, or toll anodizing from SAF. For an introduction to SAF Clear, Light Bronze, Medium Bronze, Dark Bronze, Statuary Bronze, Black, Gold Anodizing click here. Class II Class I Duranodic has been discontinued by SAF.